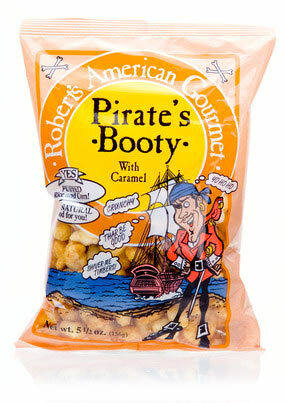 Robert’s American Gourmet makes this yummy treaty in several varieties, but today I’m trying the Original Pirate’s Booty and Pirate’s Booty Caramel, provided to me by Robert’s American Gourmet. I like the cute pirate on the front saying “Thar Be Good!”. I couldn’t agree more! 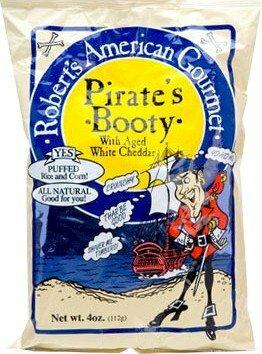 In it’s original form, the Pirate’s Booty is cheesy tasting, light, and puffy. They are baked and then blended with real white cheddar cheese.It has a nice taste of aged white cheddar, and these puffs melt in your mouth the second they hit your tongue. 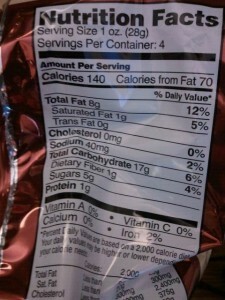 You also get a LOT for 1 oz (1 serving), which is probably due to the high air content in each of these puffs. Airy or not- these are yummy. 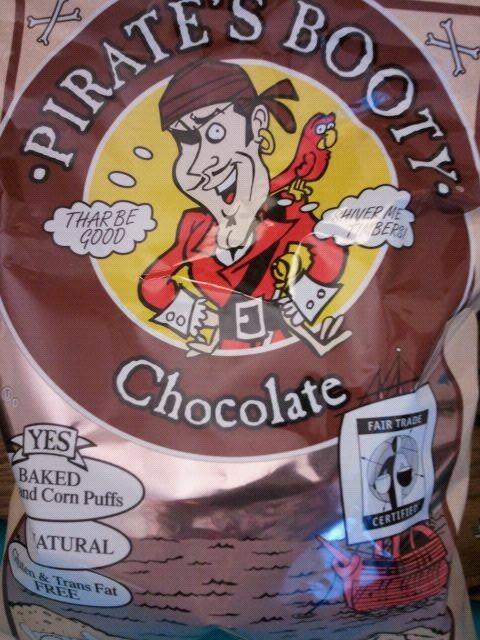 So what’s Pirate’s Booty with CARAMEL? Well, puffed rice and corn-but SWEET! I didn’t know what to expect when I dove into this bag, but boy was it a good outcome. They are sweet, crunchy and DELICIOUS! They have a light caramel flavor with a hint of saltyness. 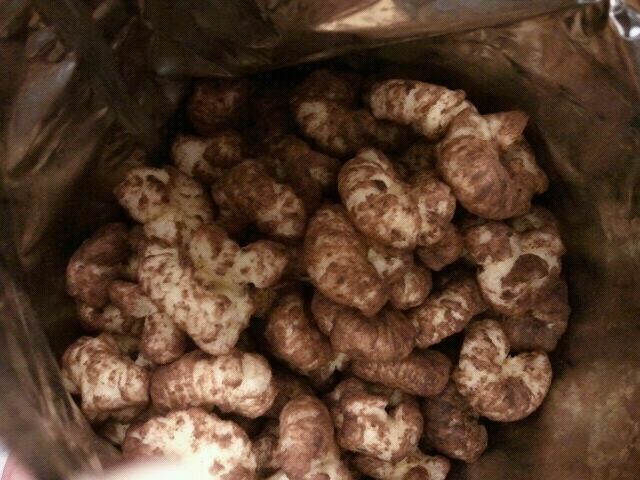 They are cute, little puffs, with a nice satisfying CRUNCH! The Aged White Cheddar has 130 calories per serving, 5 grams of fat, 19 grams of carbohydrates, 0 grams of fiber, and 2 grams of protein. 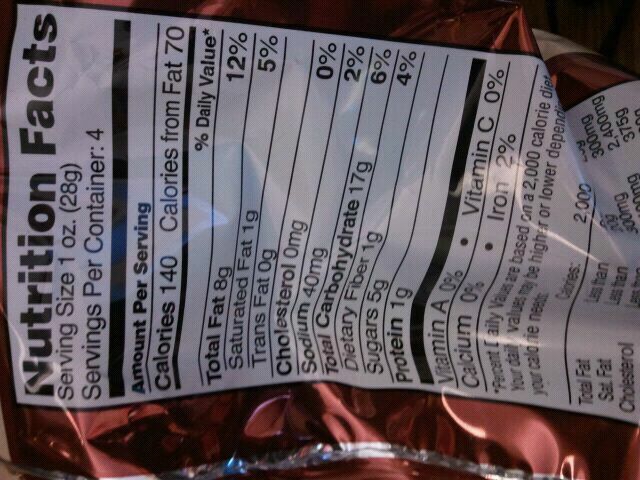 The Caramel Flavor has 120 calories per serving, 1 gram of fat, 24 grams of carbohydrates, 0 grams of fiber, and 2 grams of protein. My only complaint is that these didn’t keep me full very long, and the caramel flavor is a bit on the sugary side. But, no worries, i’ll just eat this with some fruit/with my lunch and voila! Perfection! Aged White Cheddar-Cornmeal, Rice, one or more of the following: Sunflower, Expeller Pressed Canola or Corn Oil, Aged Cheddar Cheese, Whey, and Buttermilk. Caramel-Corn Syrup, Corn Meal, Light Brown Sugar, White Sugar, Ground Rice, one or more of the following: Sunflower, Expeller Pressed Canola or Corn Oil, Baking Soda, Salt and Lecithin. I was also sent the Bermuda Onion, a flavor I was afraid to try. I thought it would be overpowering, but in fact, it was DELICIOUS! Oniony, and just a tad bit sweet. Certainly reccomended! Good job Robert’s American Gourmet! I look forward to buying and reviewing more of your products!